Home » Pokhara Internet Pvt.Ltd. Pokhara Internet Pvt.Ltd. is an innovative market leader in the internet industry listed in pokhara. With sustained growth the company has become a dynamic and integrated force providing internet and VPN solutions through one of the largest networks in Pokhara. Our own network infrastructure has significant investment being built from a Cable internet base, and today includes fibre and wireless services. 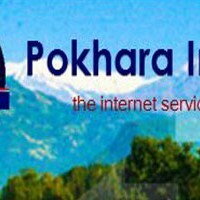 Pokhara Internet Pvt. Ltd has grown over its 10 year’s history of providing IT systems and services to be one of Pokhara’s largest Internet and Network Service Providers (ISPs). Pokhara Internet provides a diverse range of IT products and services to residential users, businesses and SMEs, government and large corporate enterprises.Pokhara Internet offers internet access through cable,wireless and fiber base,and email services. Pokhara Internet has extended its maximum coverage of wireless internet connectivity.Pokhara Internet has set up Fixed Wireless infrastructure in 10 different places (Outside-valley Syangja, Walling, Galyang, Bayarghari, Bhorletar, Nayapool, Kusma, Bandipur, Dulegauda & Dumre) and provides internet access to corporate customers across these cities using its network of base stations.